Jakarta Water Resources (SDA) Dept. focuses on normalizing more than 1,100 connecting (PHB) channels in five Jakarta regions in order to minimize inundation during rainy season.
" Normalization is done continuously thus it can minimize inundation ahead of rainy season"
Jakarta SDA Dept. Head, Teguh Hendrawan stated, normalization on more than 1,100 PHB channels with total length of two million kilometers is done with mud dredging, trash cleaning, and controlling towards illegal building that cover channels access. "We focus to handle more than 1,100 connecting channels in five Jakarta regions, both micro-scale channels in settlements and main roads," he informed, Wednesday (10/31). 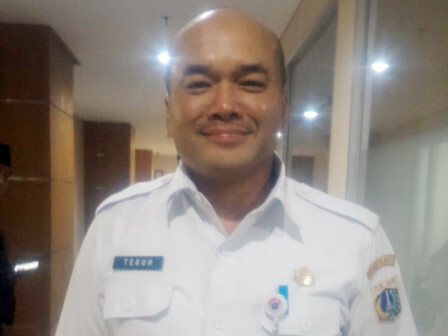 His side deploys more than 6,100 PHLs in 44 sub-districts who work alternately for 24 hours to normalize connecting channels in Jakarta. "Current process is estimated to reach 90 percent. Normalization is done continuously thus it can minimize inundation ahead of rainy season," he informed.